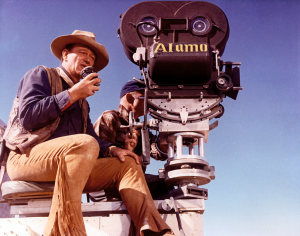 This retelling of the Alamo story and the beginnings of Texas independence from Mexico is perhaps the most John Wayne film ever made: Wayne was the star, producer, and director, and his company provided some of the financing. 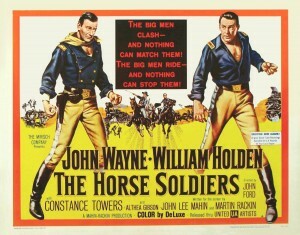 Wayne as an actor was at his peak in the wake of The Searchers and Rio Bravo, and the movie was released to great hype. 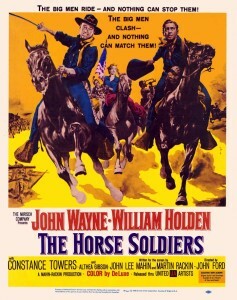 From our vantage point more than 50 years later, one would expect that it would have done well at the box office but perhaps not been greeted with much enthusiasm by critics. In fact, it was the opposite. A hugely expensive production in its time ($12 million) with an enormous cast, it only made back $8 million domestically. Wayne lost his personal investment. 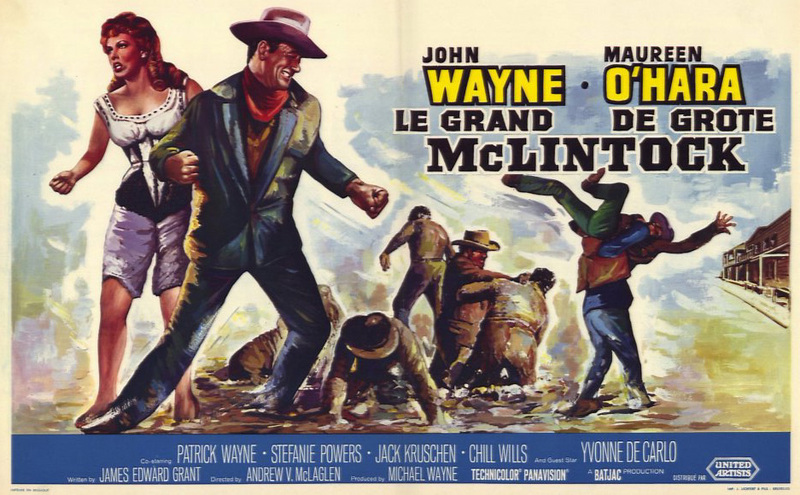 The movie eventually went into the black, making lots of money in Europe and Japan, but Wayne no longer owned it by that time. 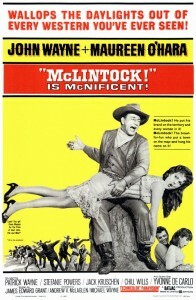 Critical reaction was mixed at best, but the movie was one of the few nominated for for the Best Picture Academy Award for 1960. In 1836, Texans are declaring their independence from Mexico, and Mexican president/generalissimo Santa Anna is bringing his experienced army of more than 6000 north to bring them back into the fold. There is not much of a Texas army to oppose him—only 600 men under Fannin at Goliad and 187 men commanded by William Barret Travis (English actor Laurence Harvey) at San Antonio, using the old mission at the Alamo as a fortress of sorts. 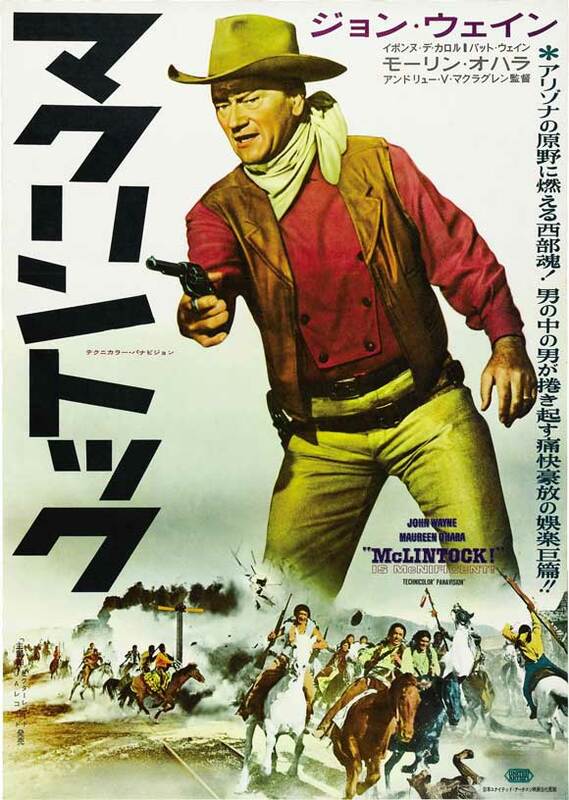 Sam Houston (Richard Boone in his curmudgeonly mode) is trying to put together a real army to oppose Santa Anna, but he desperately needs time to do that. 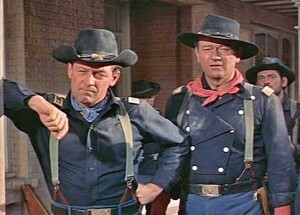 In addition to Travis, “Colonel” Jim Bowie (Richard Widmark), former Louisiana land speculator and knife fighter, commands some militia at the Alamo. And a bunch of roistering Tennesseans nominally led by former congressman Davy Crockett (John Wayne) are in town with an uncertain destination. Travis offends local Hispanics such as Juan Seguin (Joseph Calleia), who would otherwise support Texas independence, Travis and Bowie bicker constantly, and Travis ineffectively tries to recruit the Tennesseans. During the build-up, Crockett bonds with his men, gives the occasional speech about how the word “republic” chokes him up, and makes a play for a young and attractive Hispanic widow (the beautiful Linda Cristal). 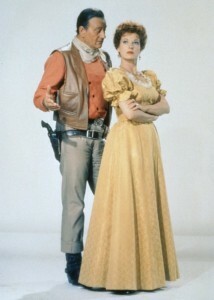 She has no apparent dramatic purpose, since she doesn’t actually get together with Crockett and she doesn’t stick around after the first third of the movie. 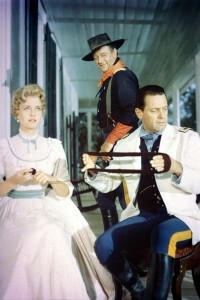 In the midst of their drunkenness, Crockett manipulates the Tennesseans into joining the defenders of the Alamo. 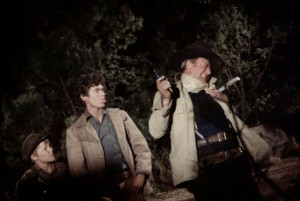 Laurence Harvey as Travis and Richard Widmark as Bowie (with his volley gun). 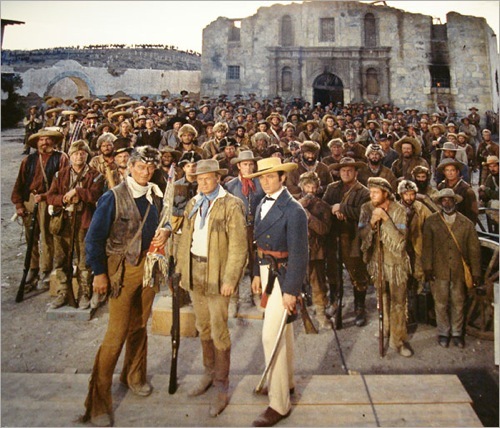 Santa Anna and his good-looking army show up and blast away at the Alamo. 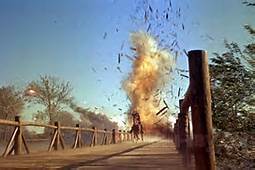 Crockett and Bowie conduct a commando operation to destroy the biggest Mexican gun, and there are constant conflicts with Travis. 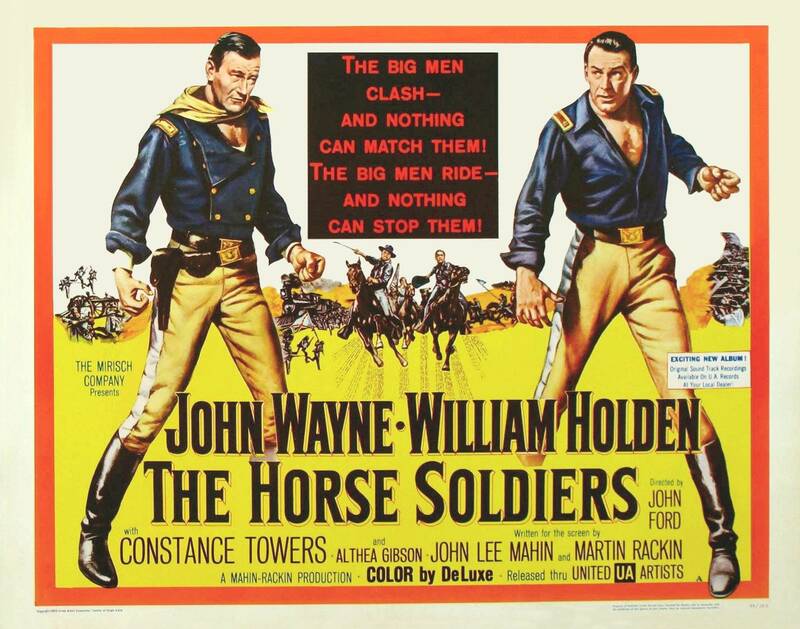 It can be no secret to us (or to audiences of 1960) that in the end the defenders are overwhelmed by Santa Anna’s forces and slaughtered to a man in an extended battle sequence, creating the first heroes of Texas independence. Each of the three defending principals gets an appropriately heroic end. 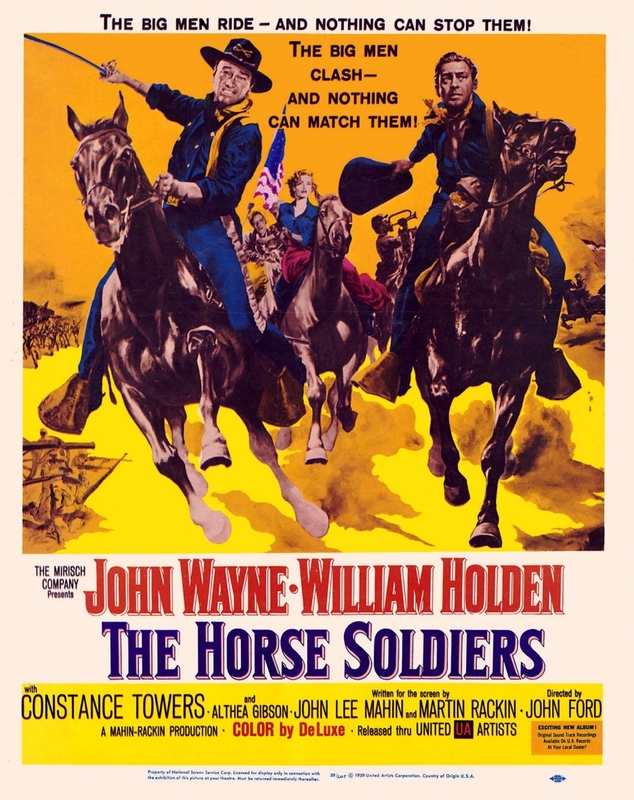 The need to make this a John Wayne movie means this film disproportionately focuses on the supposed Crockett, who seems not very authentic historically. 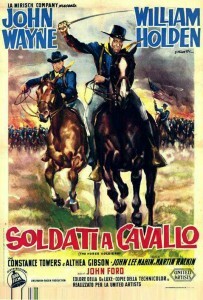 He’s not too old for the part, since Crockett was almost 50 when he died at the battle. There’s a lot of meandering in the first two-thirds of the movie with extraneous characters. The Tennesseans (especially Chill Wills) quickly become tedious in their constant drunken revelry. 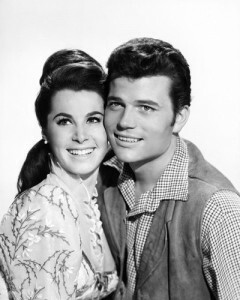 Apparently having learned from Rio Bravo that one should always have a teen-idol singer in the cast to appeal to the younger demographic, Frankie Avalon here is another in a series of unnecessary young brothers and compatriots (Fabian in North to Alaska, Bobbie Vinton in Big Jake and The Train Robbers) who can’t act well. 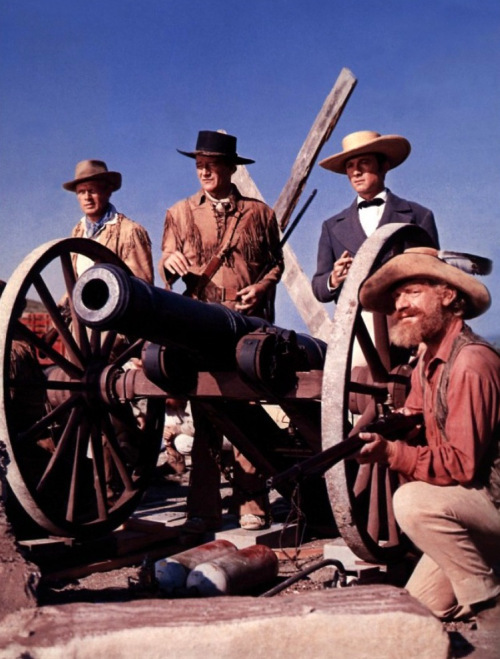 In production design, there are a few concessions to 1836 this time, especially in the hats and firearms. Bowie’s seven-barrel flintlock volley gun (called a Nock gun, after its British maker) looks impressive; such a gun was developed by the Royal Navy during the Napoleonic wars for naval warfare but was not widely used because of its horrific recoil. 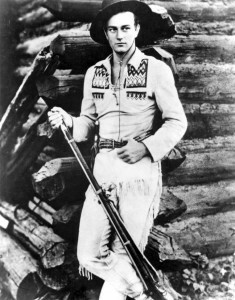 Crockett’s coonskin cap looks hot and foolish; thankfully, he often wears more regular hats. 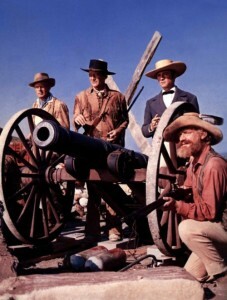 In Rio Bravo the year before, one of the prominent musical features was the constant playing of the Deguello, Mexican-flavored trumpet and guitar music that was said to have been played by Santa Anna’s men at the Alamo, signifying that no quarter was to be given. 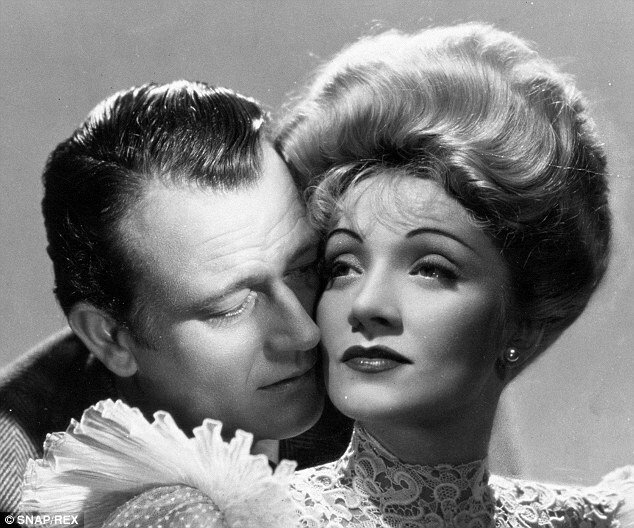 It was a romantic story, but, In fact, the tune was composed by Dimitri Tiomkin for that film. 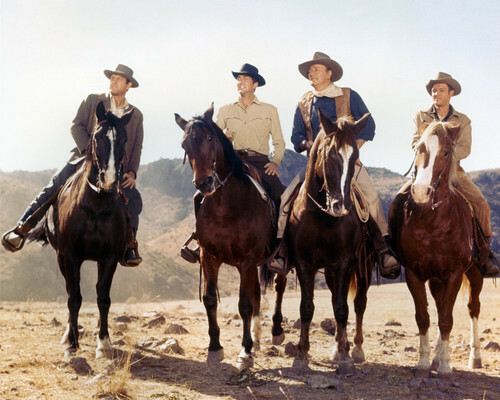 Here the theme music is a combination of the Tiomkin Deguello and the melancholy “Green Leaves of Summer” by Tiomkin, which would be nominated for an Oscar and become a big hit for the folk group The Brothers Four. The overture and musical intermission are usually omitted for television broadcasts. 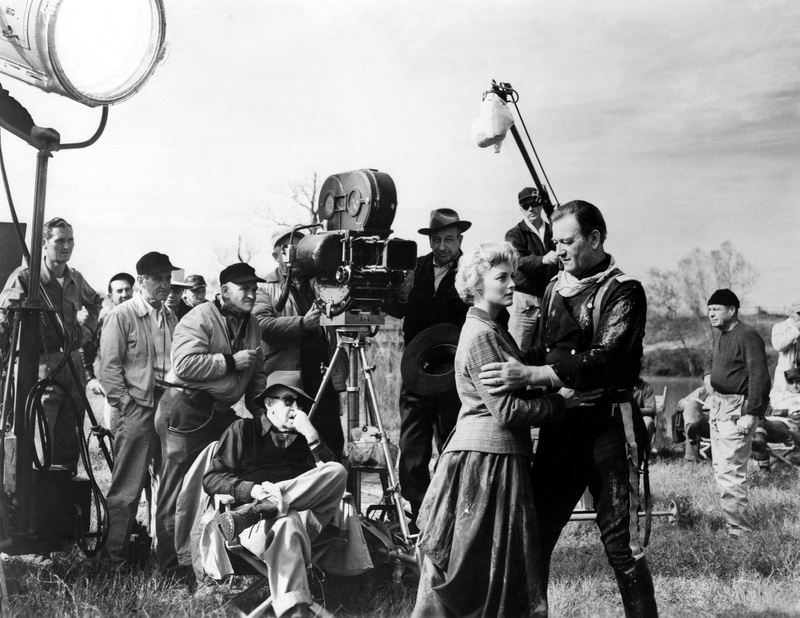 Cinematography was by the excellent William Clothier. The screenplay was by James Edward Grant (Angel and the Badman), long a favorite (and often clunky) writer-friend of Wayne’s. The two or three patriotic speeches dropped in, especially those for Wayne, stop the action and don’t work very well. Producer/director Wayne wanted to express his patriotic sentiments and he got his way, but that aspect doesn’t play well now. The final battle scene has some curious editing, showing Mexican soldiers lunging at one or another of the notable defenders, cutting away, and seconds later returning to the defender, now skewered with a bayonet or sword and falling over. 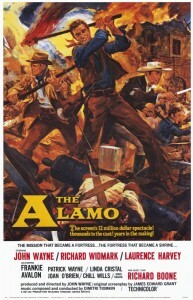 The Alamo received seven Academy Award nominations. 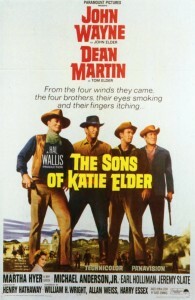 It won the Oscar for Best Sound (Gordon E. Sawyer, Fred Hynes) and was nominated for Best Supporting Actor (Chill Wills), Best Cinematography (William Clothier), Best Film Editing (Stuart Gilmore), Best Musical Score (Dimitri Tiomkin), Best Music (Song) (Dimitri Tiomkin and Paul Francis Webster for The Green Leaves of Summer) and Best Picture. 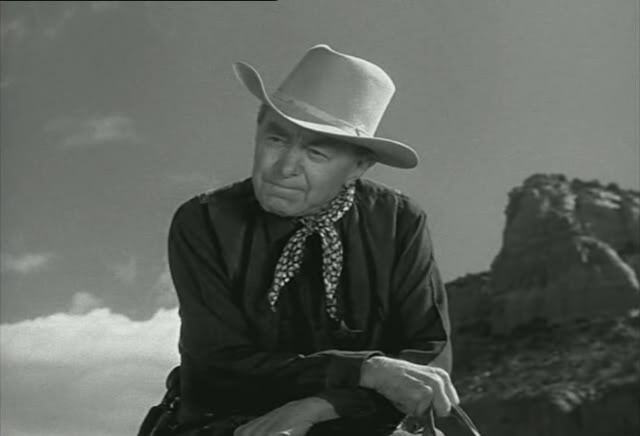 Chill Wills placed a tasteless ad in Variety, soliciting votes and referring to those who voted for him as his “Alamo cousins.” Groucho Marx responded in a small ad of his own: “Dear Mr. Wills, I am delighted to be your cousin, but I voted for Sal Mineo” (nominated for Exodus). Wayne directing, apparently in the same hat he wore from Stagecoach (1939) through Rio Bravo (1959). 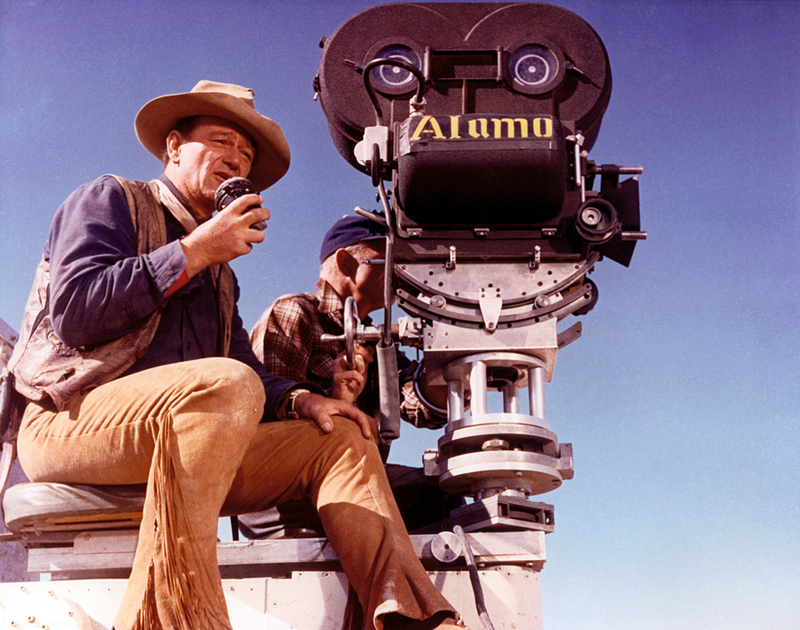 The hat does not appear on-screen in The Alamo, though. 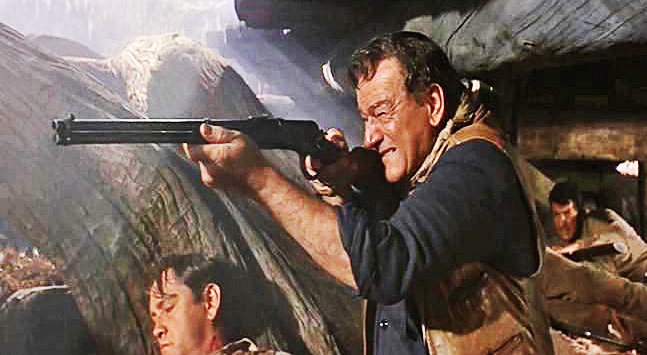 This film is a relic of John Wayne in the 1960s at the height of his career, and that is the reason to watch it. John Wayne learned that he didn’t want to direct, although he took over that role again (uncredited, at his insistence) on 1962’s The Comancheros when Michael Curtiz was dying of cancer. As in the making of other films (see The Cowboys, for example), Wayne’s right-wing politics sometimes conflicted with those of others in the production. 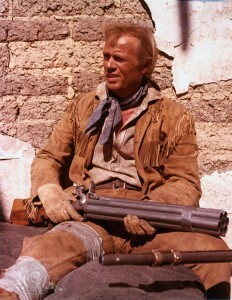 In this case, Widmark didn’t get along with him well. Widmark repeatedly challenged Wayne’s direction and once they almost came to blows; thereafter the two remained professional but distant. 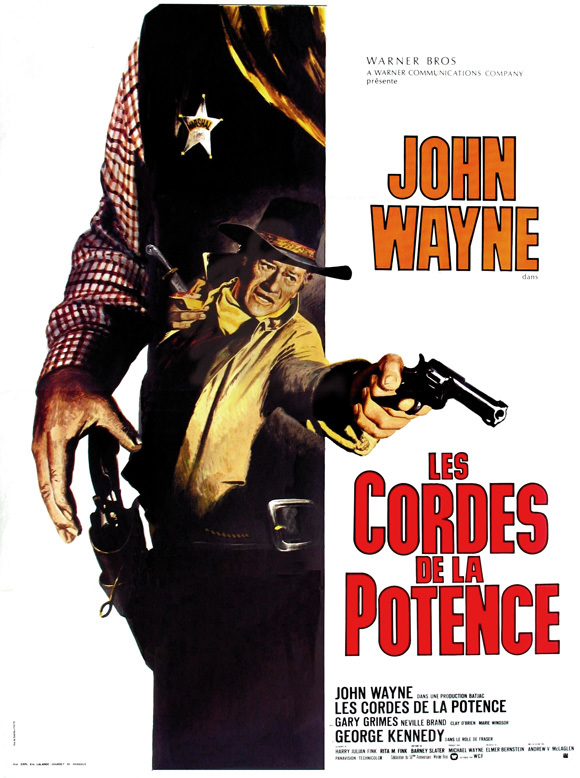 The movie is long, at 167 minutes, and there is a director’s cut at 203 minutes (1993, obviously done without Wayne’s participation) if you want even more and if you can find it. 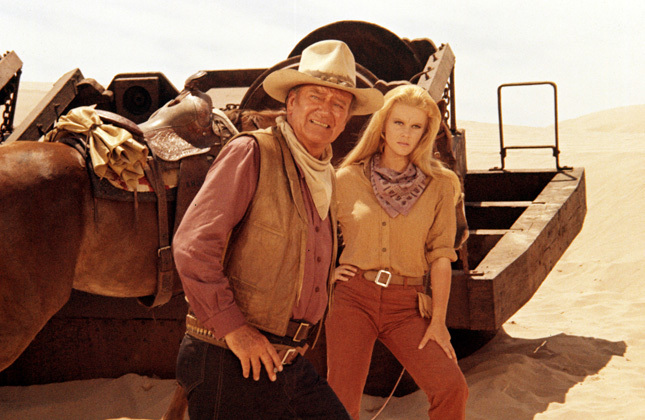 The movie was re-released in 1967 at 140 minutes, so there are lots of choices. Some of these cuts are in need of restoration. So how accurate is it? Not very. 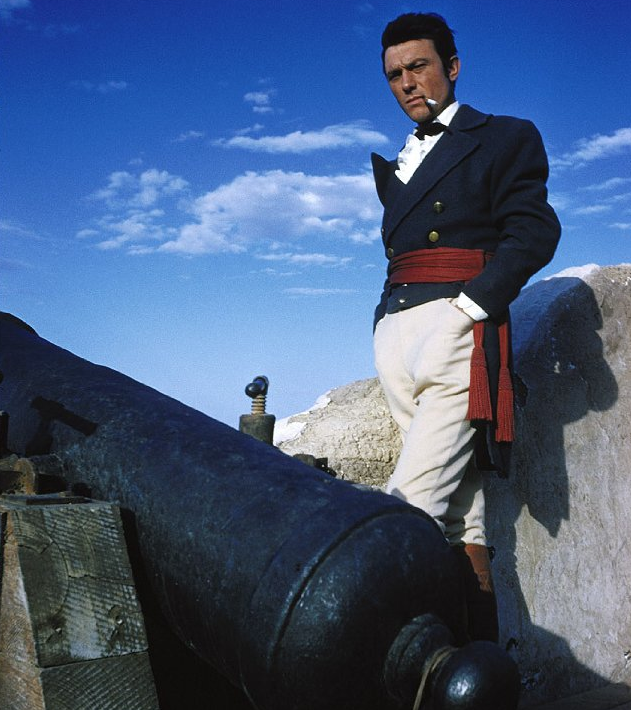 For example, Bowie did not brandish a seven-barrel volley gun, nor was he wounded in the leg during the final assault, nor did his wife die during the time of the siege. He fell ill due to typhoid fever and was barely awake during the final attack, and Bowie’s wife had died a year before the battle was fought. 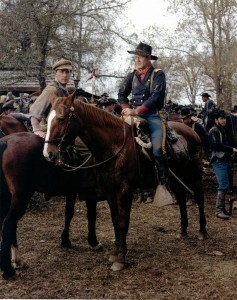 Fannin was not ambushed and slaughtered during the siege of the Alamo. He and his men were murdered in Goliad on Palm Sunday three weeks after the Alamo fell. 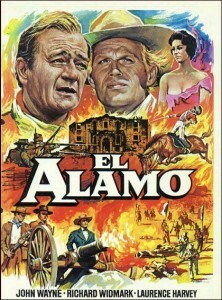 Bowie and Crockett never made the decision to leave the Alamo as shown in the movie. 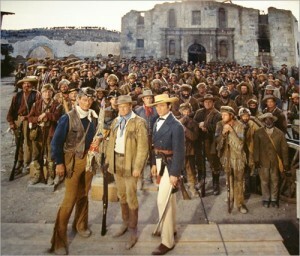 Though Bowie and Travis disliked each other intensely, they agreed that the Alamo should be defended. And the time frame for the battle is wrong. 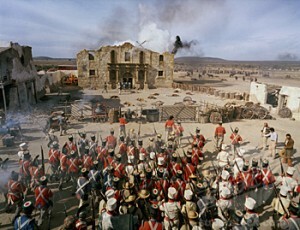 The movie shows the final battle taking place during the day; in reality, the final Mexican attack was pre-dawn, while most of the Alamo defenders were sleeping. 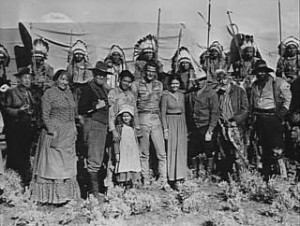 The individual deaths of Travis, Bowie and Crockett are fictional, for dramatic effect. They were killed, but, especially for Crockett, the individual circumstances are not generally known and are still a matter of debate. 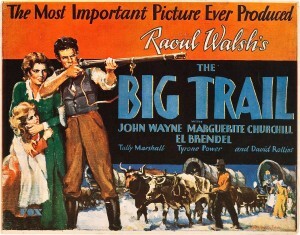 Billboard art by Reynold Brown, emphasizing the film’s epic scale and the final battle. 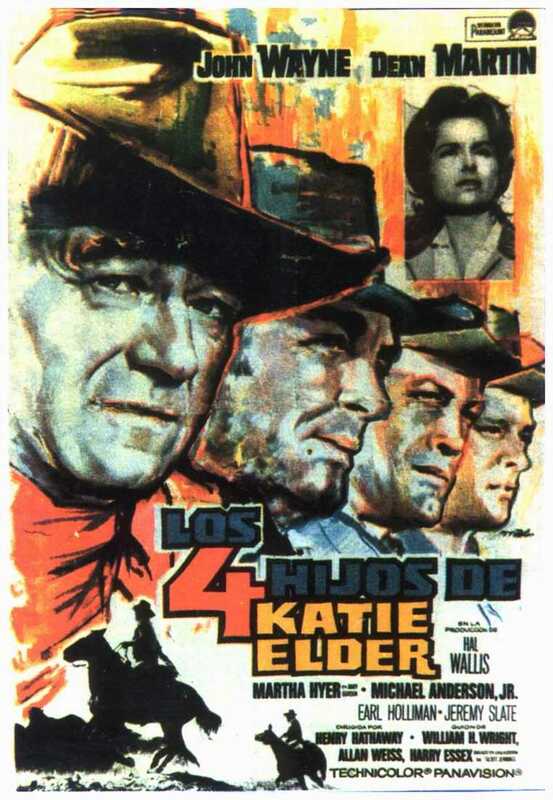 In a bit part as an aide to Santa Anna, look for famed Mexican bullfighter Carlos Arruza; well-known director Budd Boetticher would fizzle away his career in Mexico during the 1960s trying to make his magnum opus, a documentary on Arruza, before Arruza’s early death in 1966. 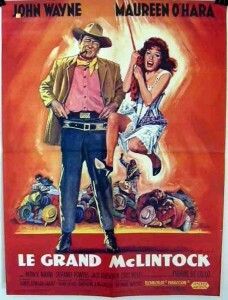 If Arruza’s presence in the film was intended to make it appeal to Mexicans, it didn’t work; the film was banned in Mexico. 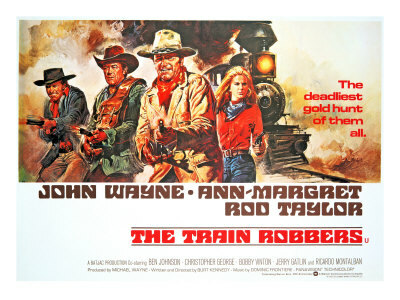 There are various Canutts (related to Yakima, legendary stuntman and second unit director), Patrick Wayne, even an uncredited Pilar and Toni Wayne. 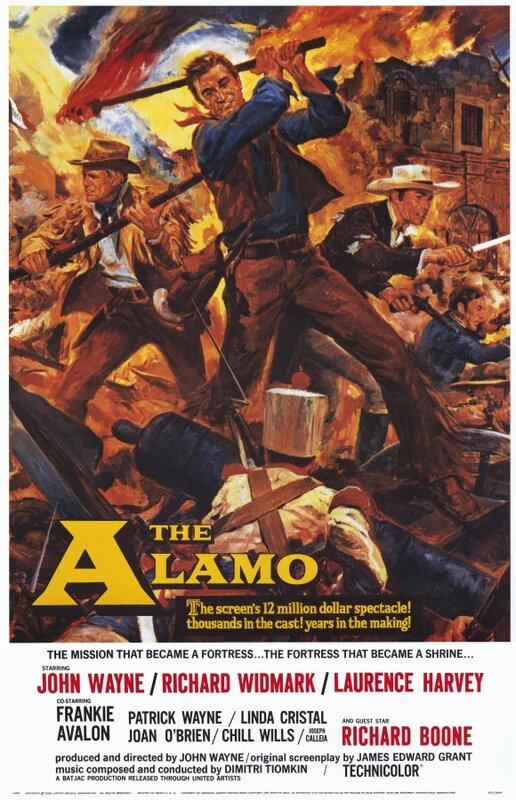 The first movie about the battle at the Alamo was the silent The Immortal Alamo (1911), now thought to be lost. There have been at least eight films portraying it, and three television productions, including Disney’s “Davy Crockett at the Alamo” episode on Disneyland. 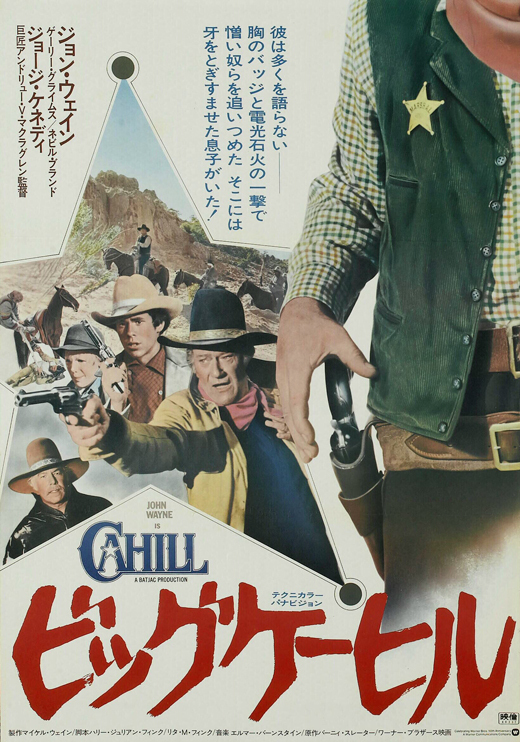 This is not the best film ever made about the Alamo, but it might be the most prominent. For a better, more historical Crockett performance, see Billy Bob Thornton in The Alamo (2004). 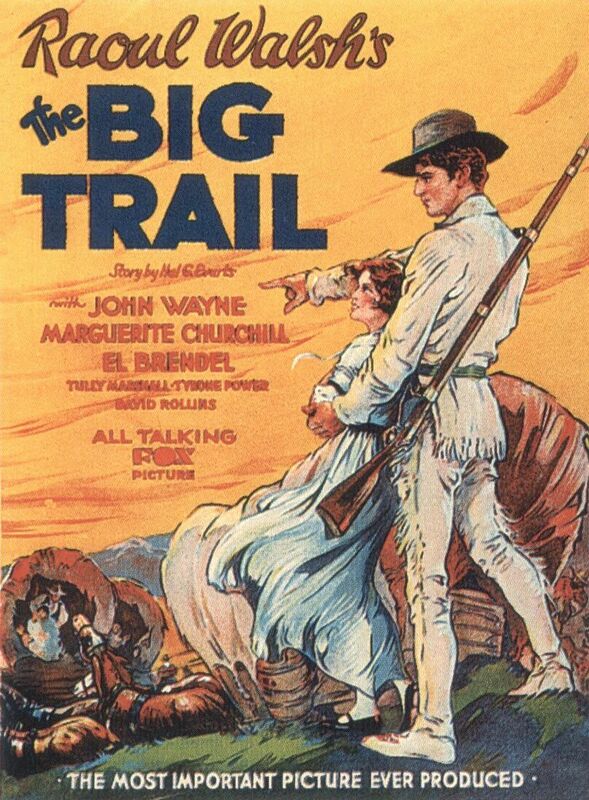 The 2004 movie, which tries for greater historical accuracy, is not among the greatest westerns, but it’s better than this version and Thornton’s performance is terrific. The definitive Alamo movie has yet to be made. 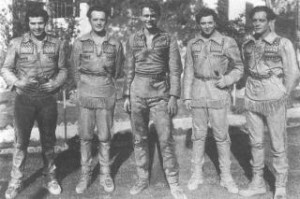 For more actual history of the Alamo and its defense, focusing on the three protagonists (Crockett, Bowie and Travis) and doing a good job of separating the legends from what is actually known, see the books Three Roads to the Alamo (1999), by William C. Davis and The Blood of Heroes (2012), by James Donovan. 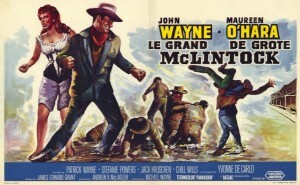 This entry was posted in Westerns Worth Watching and tagged Adventures in Mexico, John Wayne, Richard Boone, Richard Widmark on March 18, 2014 by Nicholas Chennault. This was the first movie in which John Wayne, an increasingly big star at the time, had a production role. It now looks like a relatively low-budget movie, with the film and sound quality not as good as one would like. Compare it, for example, with My Darling Clementine and Red River, both from about the same time, which both have a lot more clarity in picture and sound. Or maybe there are just a lot of bad prints and transfers of this film out there. The badman of the title is Quirt Evans, played by Wayne. 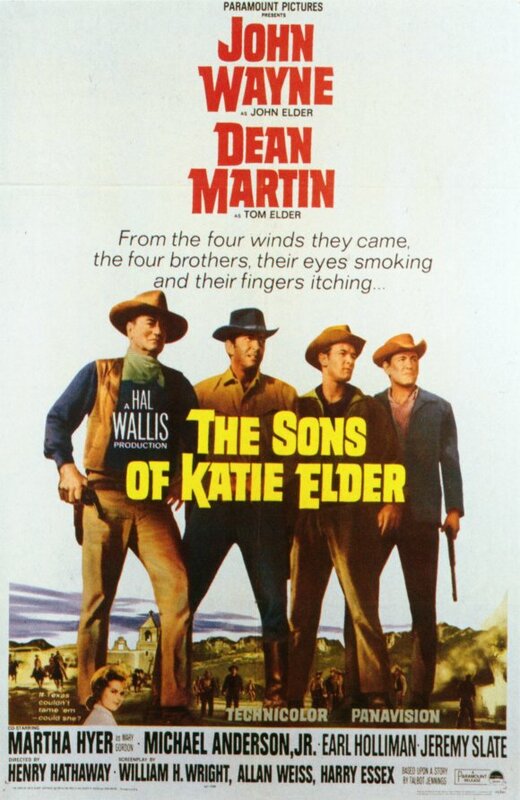 The names are a bit of a problem in this movie—they haven’t aged all that well. 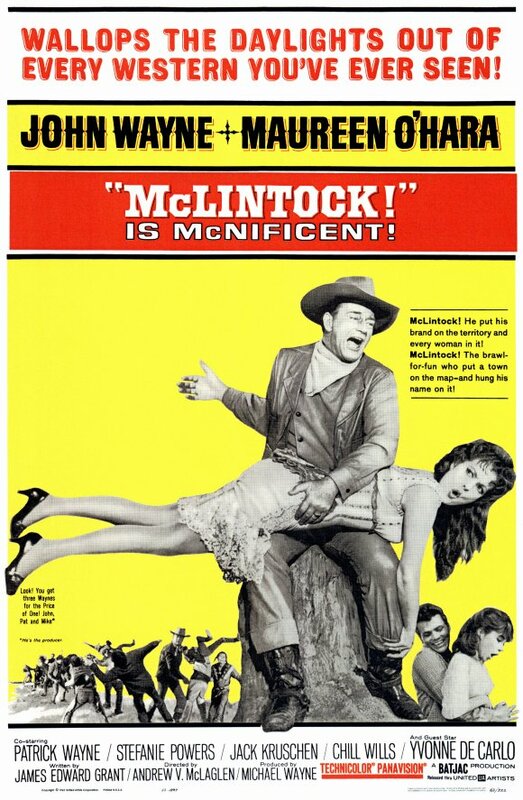 Quirt Evans, Laredo Stevens, Marshal Wistful McClintock: one has to chalk up those bits of clunkiness to writer-director James Edward Grant, a favorite of Wayne’s. Notwithstanding some clunkiness in the writing and questions about technical quality, this movie works pretty well and is quite watchable. 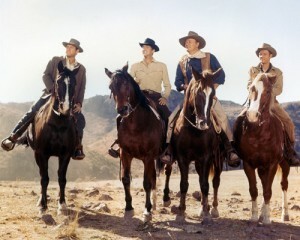 As the titles roll, a lone horseman races across the desert landscape, pursued by other riders. 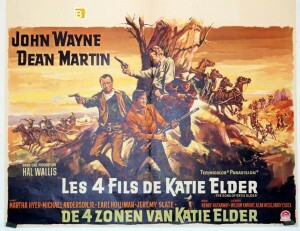 As soon as the opening credits are done, the horse stumbles, throwing the wounded rider in front of a wagon with a man and a young woman. 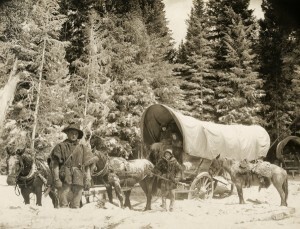 The people in the wagon are the Worths, Quakers originally from Pennsylvania, and they nurse Evans back to health after the local doctor removes a bullet from him. 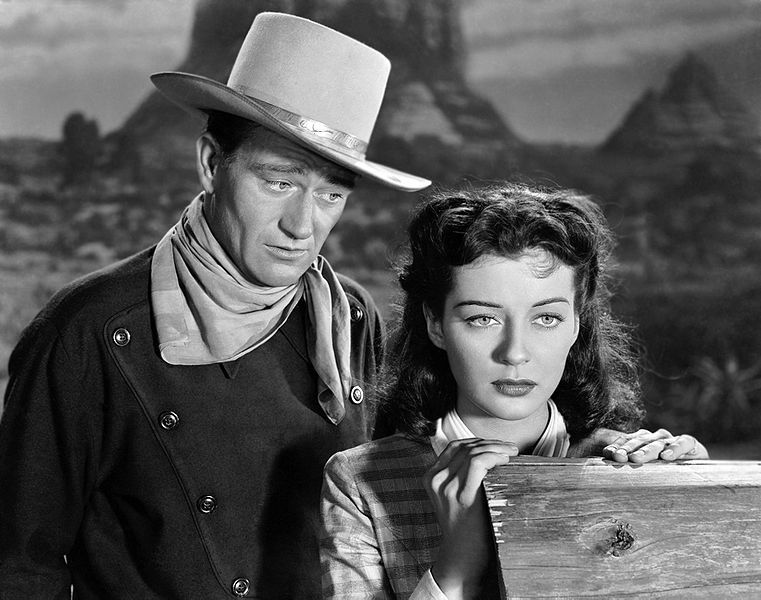 He seems taken with Penelope Worth (Gail Russell), the young woman in the wagon, the daughter of the Worths (John Halloran and Irene Rich) and the angel of the title. 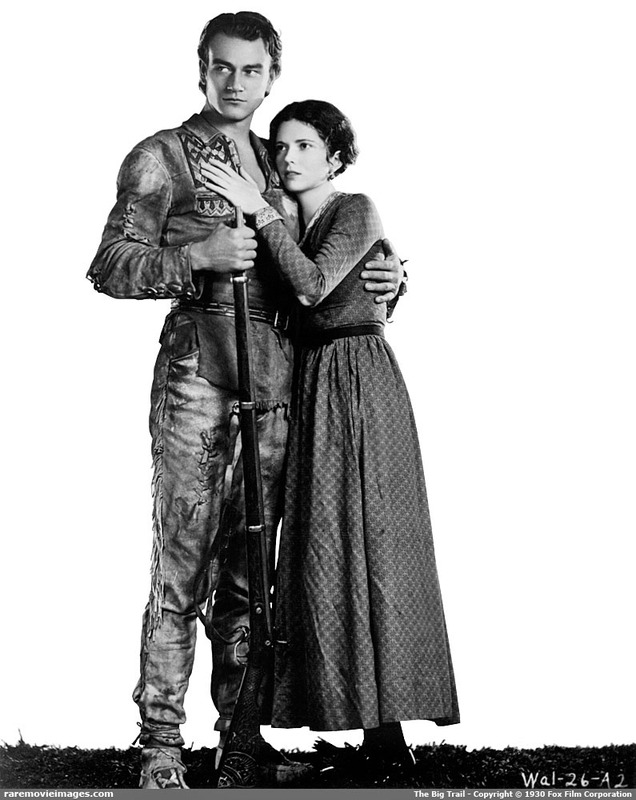 And she is even more obviously taken with him. 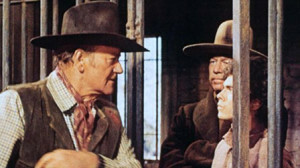 Territorial marshal Wistful McClintock (Harry Carey) arrives at the Worth ranch to ask about Evans’ comings and goings. Bit by bit, Evans’ backstory emerges. 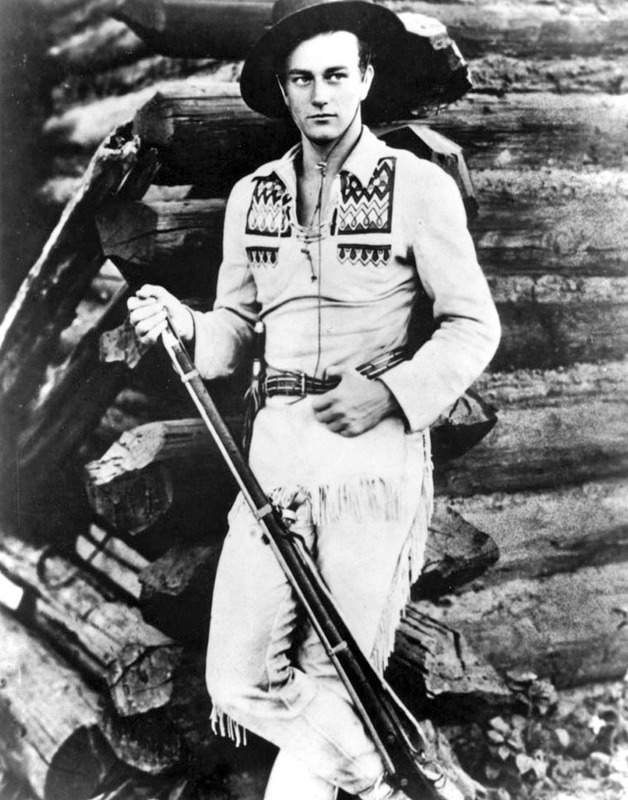 He was a deputy to Wyatt Earp in Tombstone but left when a gambler named Walt Ennis, his foster father, was killed by Laredo Stevens (Bruce Cabot). 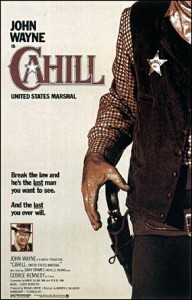 He has been straddling the line between lawful citizen and outlaw ever since. 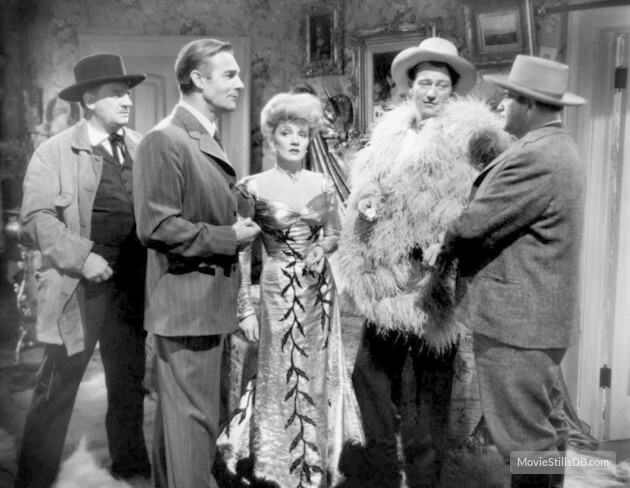 Stevens and two henchmen show up looking for Evans, too, and he bluffs them with an empty gun, selling Stevens a plot of land he has just filed filed on. 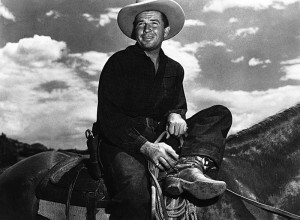 As he recovers, Evans helps out the Worths by persuading a cranky neighbor to release irrigation water to the surrounding farms. He attends a Quaker meeting, at which he is given a Bible with his name on it. 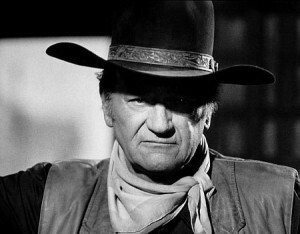 He forgoes wearing a gun most of the time, although he is not comfortable without it. 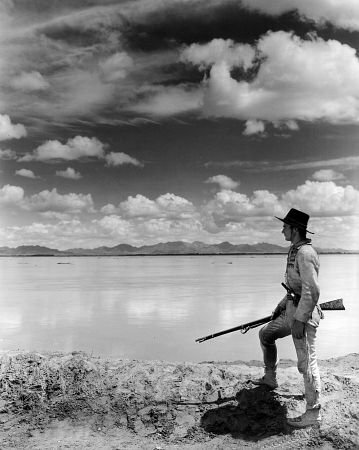 He gets wind of a job Laredo Stevens is planning, stealing a herd of cattle. 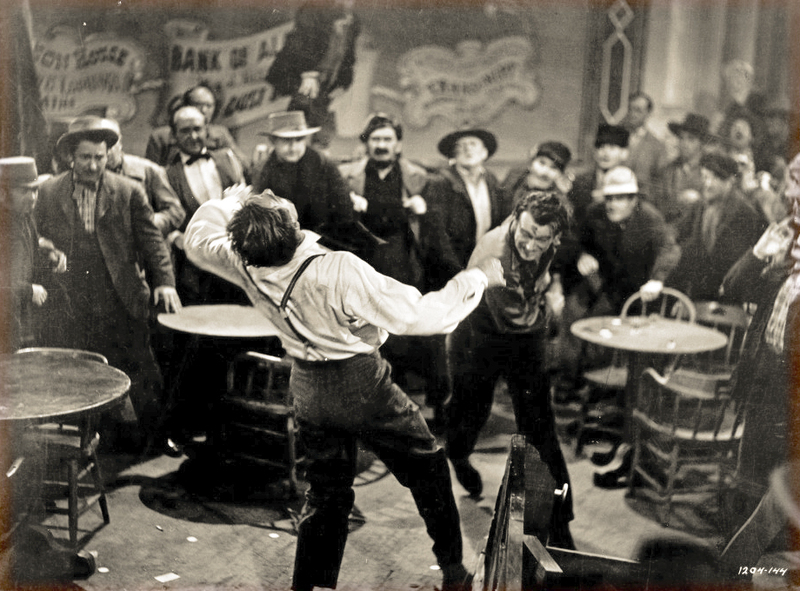 Evans and a couple of old friends steal the stolen cattle from Stevens and celebrate in the old style—by gambling, drinking and fighting. 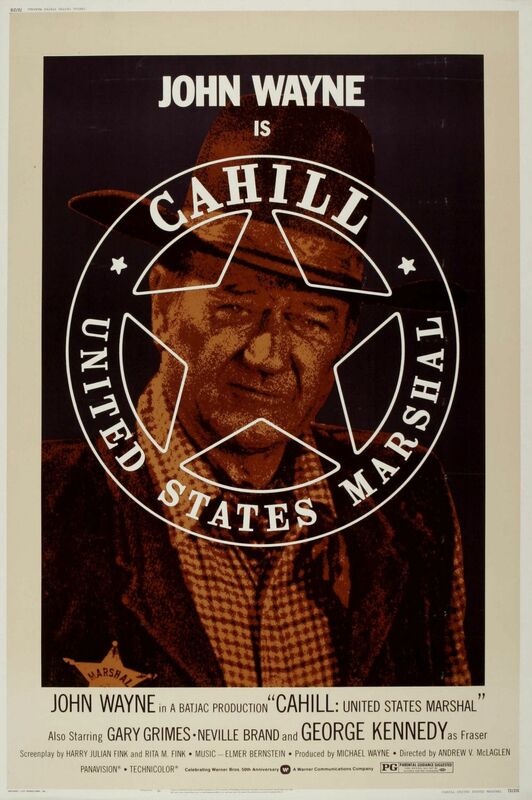 The marshal is skeptical: Harry Carey as Marshal Wistful McClintock. Evans finds that he misses Penny, though, and he makes his way back to the Worth farm. They go out riding in a wagon, only to be attacked by Laredo Stevens and his henchmen, who are sure that Evans must have a gun somewhere. (He doesn’t, at least not this time.) 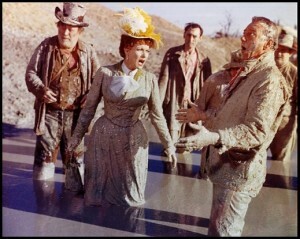 Their wagon goes over a cliff into a river, and Penny is gravely injured in some unspecified way. 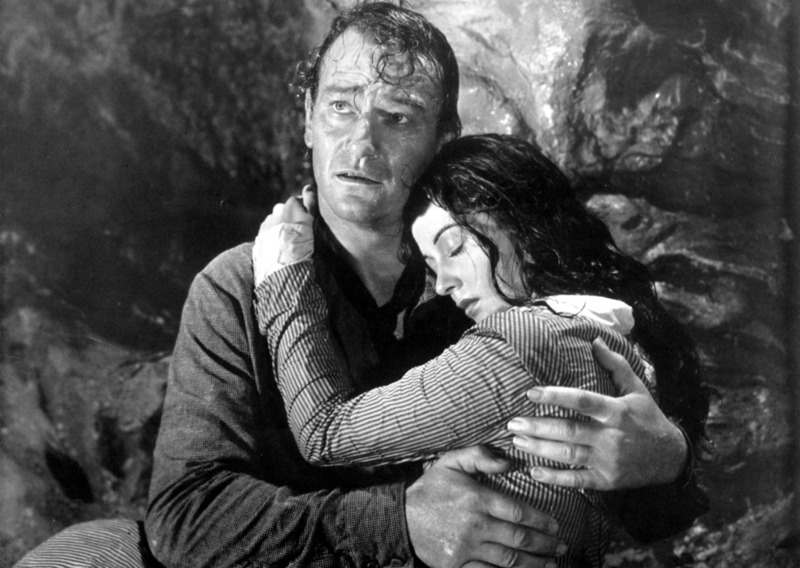 Quirt (John Wayne) rescues Penny (Gail Russell) after Laredo forces them to crash their wagon. That’s it for Evans. 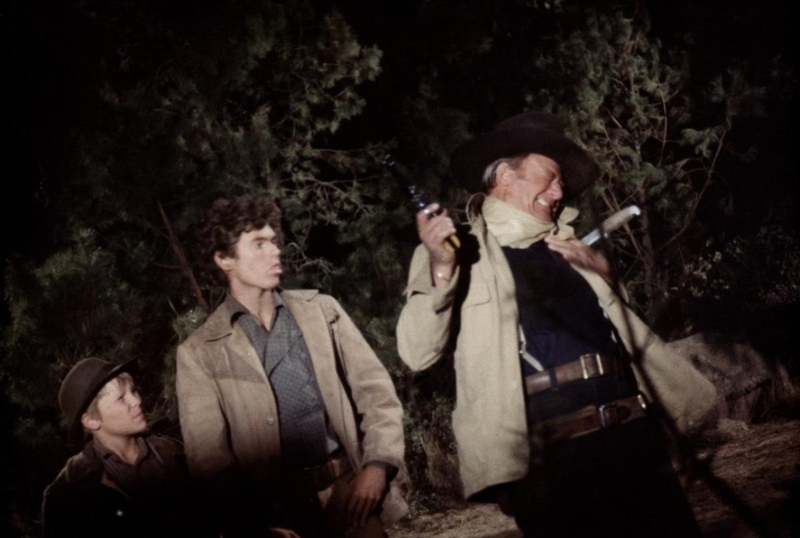 Putting on his gun, he heads for town and calls out Stevens. While Stevens and his pal Hondo Jeffries are dithering, Penny has made a miraculous recovery from her mysterious injuries/ailments, and her parents have brought her to town in a wagon to see if gazing into her soulful eyes (and her blue eyes are very soulful indeed) will deter Quirt from his vengeful wrath. 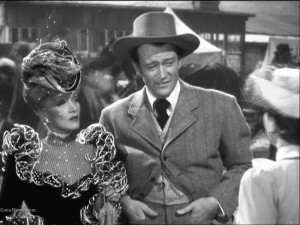 As Laredo and Hondo step out of the bar, Quirt turns to them without his gun, which he has reluctantly given to Penny. 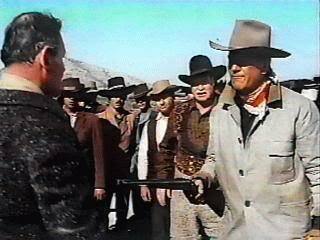 Two shots ring out, and Stevens and Hondo fall. 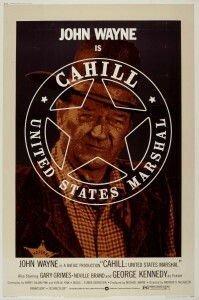 It is Marshal McClintock, who was supposedly out of town. He sadly notes that he will probably have to dispense with the pleasure of hanging Evans, since he has now shot Stevens himself. It’s kind of a deus ex machina ending, with the marshal dropping in from nowhere. There is a bit of clunky writing, but some interesting points, too, with the doctor’s speeches and the cranky neighbor as well. Because of the strength of the three star performances (by Wayne, Russell and Carey) this all works. Wayne is handsome, young-ish and charming in his shield-front shirts. 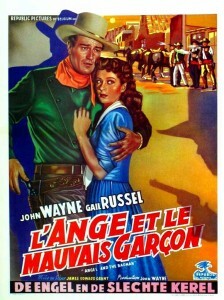 Russell is quite warm and convincing, both as a Quaker and in being in love with Evans. And she’s gorgeous. 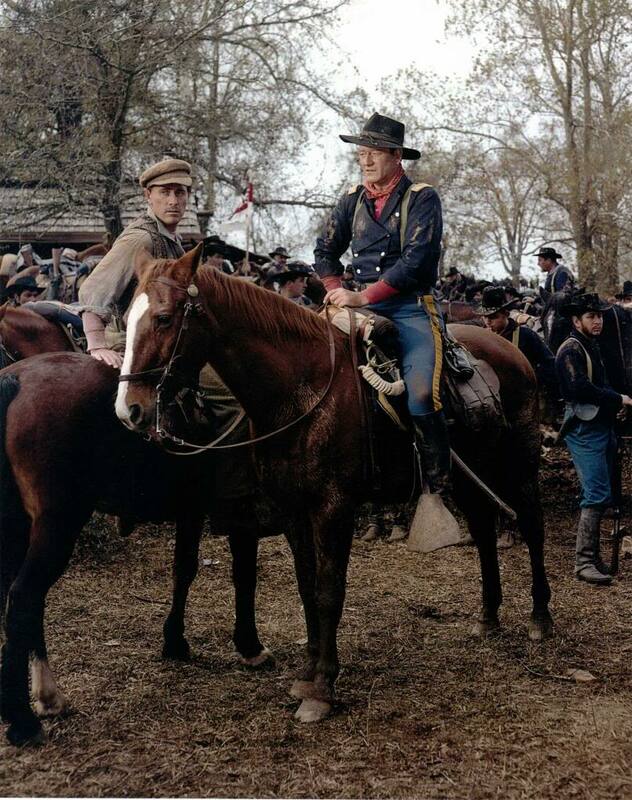 Carey, nearing 70 and in one of his last movies, doesn’t spend a lot of time on screen, but all the attention goes to him when he’s there, even if he’s just sitting on a horse. 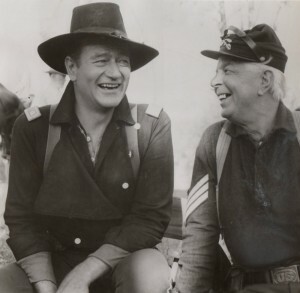 A film actor since 1909 and an early western star in the 1910s, Carey had been a mentor to both John Ford and John Wayne when they were getting their starts in movies. As with 3 Godfathers, made by Ford around the same time, there is a kind of nostalgic assumption of the value of religion and religious community surrounding Quirt Evans’ conversion, although it is difficult to see him as a Quaker even at the end of the movie. The beautiful Gail Russell brings a believability to her immediate love for Evans; the potential conflict is in working out the terms between them, or even if Evans is willing to stay with one woman. Supporting players John Halloran and Irene Rich are good as Penny’s parents. 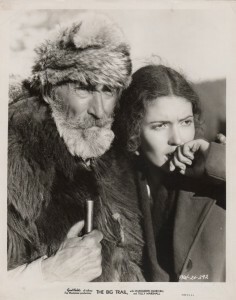 Bruce Cabot doesn’t look so bad as villain Laredo Stevens; he even wears a white hat. 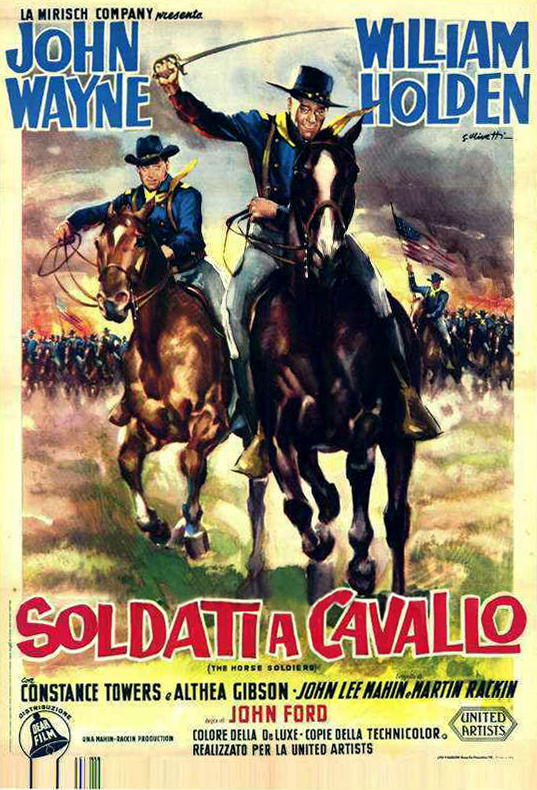 The music is used in a heavy-handed way at times (ominous chords at the appearance of a rider, for example). 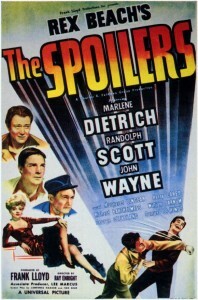 Although the technical quality of the film and the sound are not all that one might hope for in 1947, there are some interesting uses of light and dark in (a) the scene in which Evans persuades the local telegrapher to send a message after hours, and (b) the scene in which Evans blows out most of the lights in the ranch house and bluffs Stevens and his men with an empty gun. 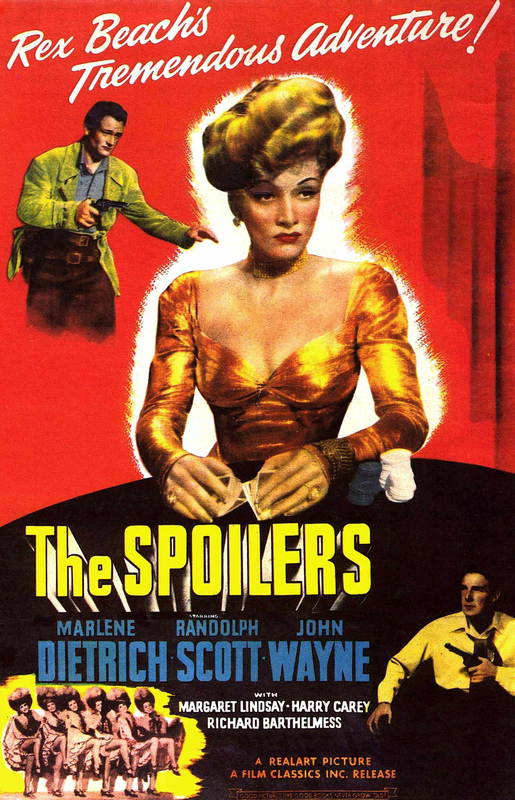 At 100 minutes, it feels just about right, although the ending is a little abrupt. Filmed in Sedona, Arizona, in black and white. Many of the people in this production will appear again. 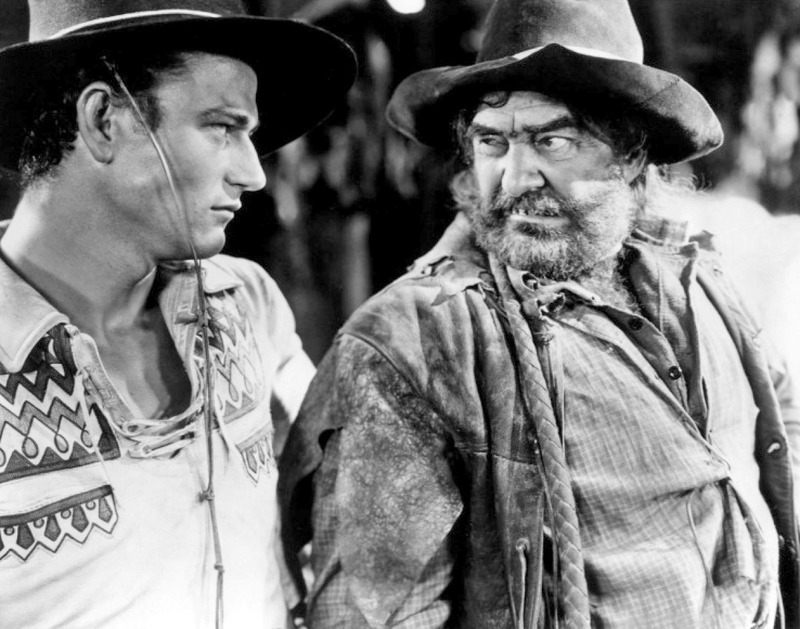 John Wayne by this time is well on his way to being the biggest western star of the next thirty years, of course. 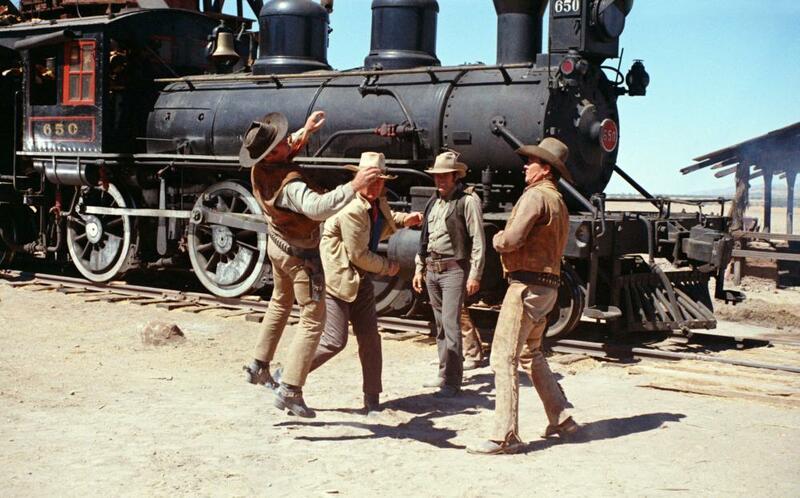 Hank Worden has a bit part, Yakima Canutt is second unit director, and Richard Farnsworth (The Grey Fox) and Chuck Roberson are uncredited stuntmen. 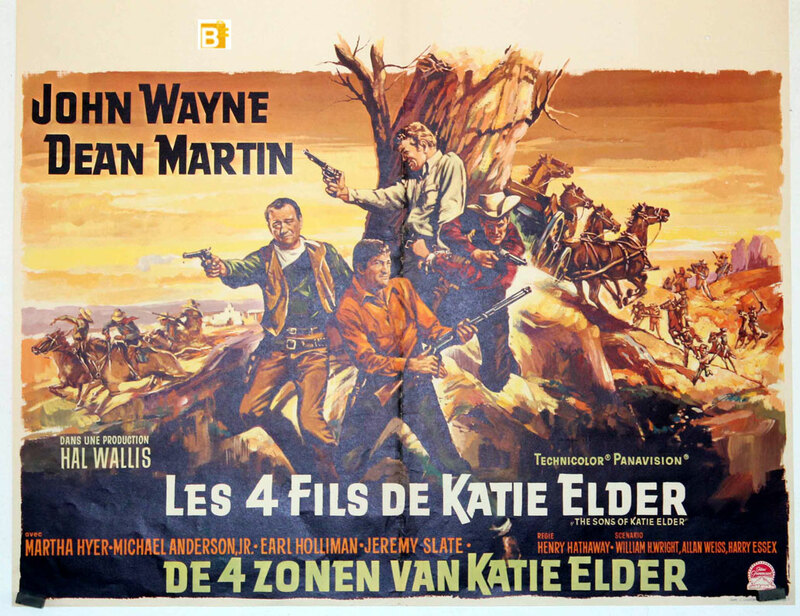 This was the first time Wayne and Bruce Cabot worked together, and Wayne would find Cabot roles in his movies for the next thirty years, too. 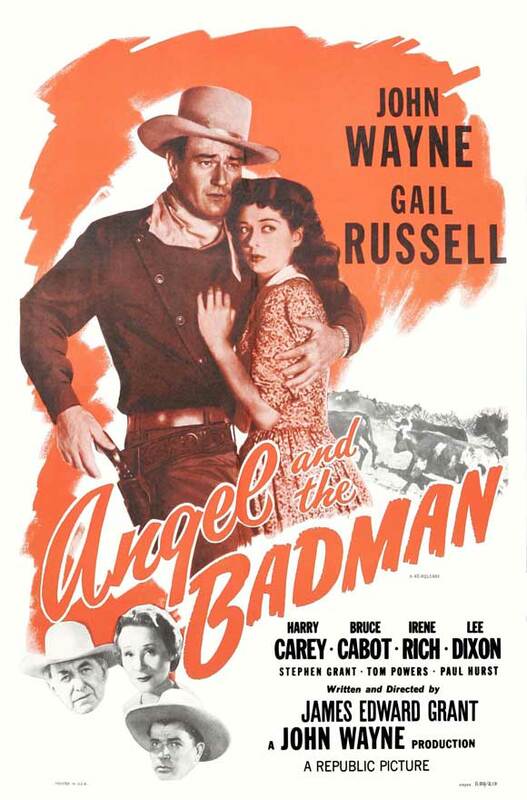 Gail Russell had a short career and a tragically short life due to alcoholism. 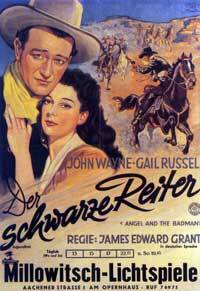 Her other notable role in a western is in the Batjac-produced Seven Men from Now in 1956, with Randolph Scott—an opportunity given to her by Wayne’s company at a time she was having a lot of trouble in her life. She’s good in that, too, but it would be one of her last movies. She died at 36. The entry of a gunman into a religious community is one of the older western stories. 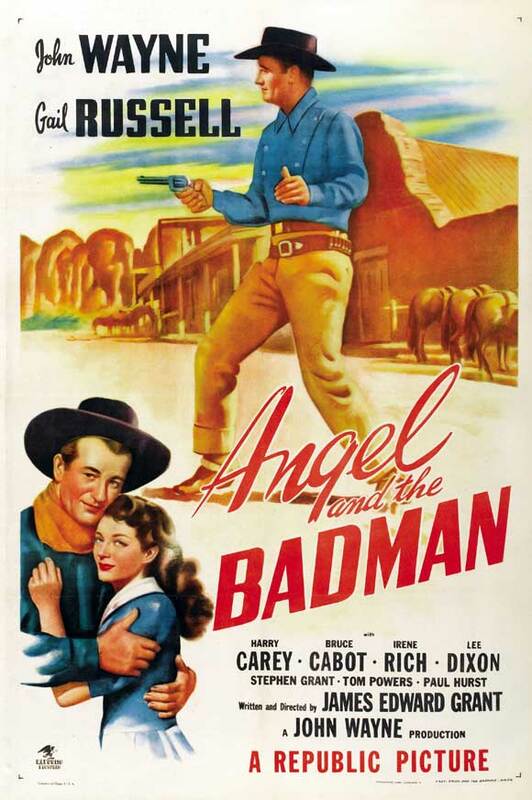 It was the basis of Zane Grey’s 1912 best-seller Riders of the Purple Sage (in which Lassiter, the gunman, definitely does not reform), and William S. Hart becomes the classic reformed gunman due to the love of a good woman named Faith (sister of a preacher) in Hell’s Hinges (1916). It still works here thirty years later in 1947. 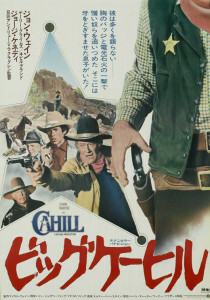 Witness (1985), with Harrison Ford as a hard-boiled city cop among the Amish, is a non-western version of the story. For a more recent western take on the story, see The Outsider (2002), which ends with the young woman leaving the religious community rather than the gunman joining her in it. Angel and the Badman was also remade for television in 2009, with Lou Diamond Phillips as Quirt Evans and Luke Perry as Laredo Stevens. 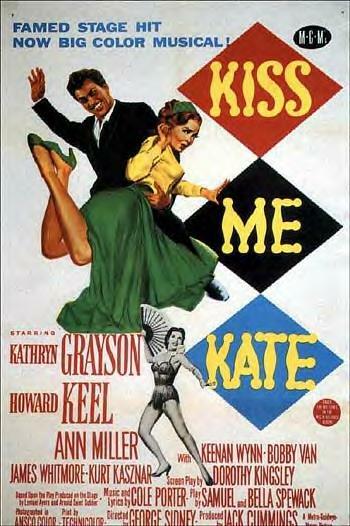 Note: Having now re-watched this on TCM, which makes an attempt to provide both the best prints and widescreen viewing when appropriate, I can now say that the technical shortcomings noted above are because there are a lot of bad prints of this out there, including the crummy one you’ll get if you rent this movie from Comcast as I originally did. 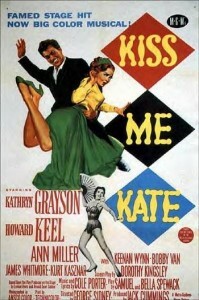 The print shown by TCM both looked and sounded fine for 1947 standards. 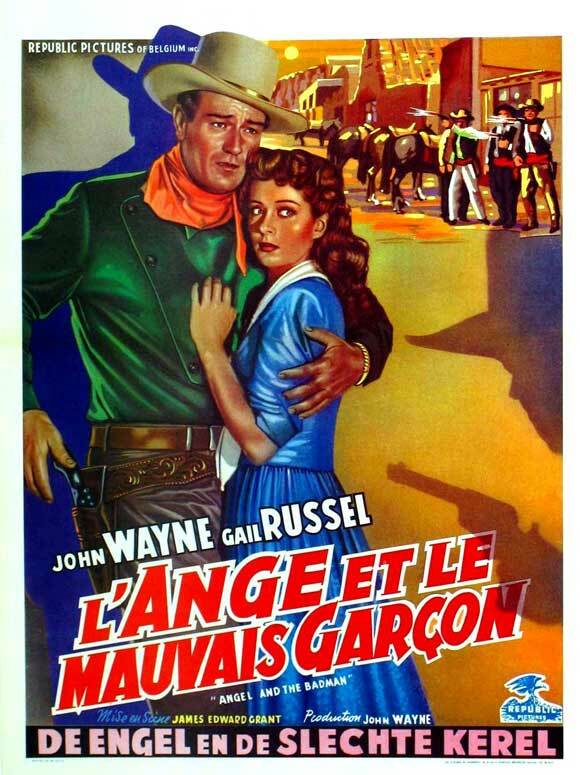 This entry was posted in Westerns Worth Watching and tagged Gail Russell, Gunman and Religion, John Wayne, quakers on March 1, 2014 by Nicholas Chennault.